I am working on a wedding gown for a June bride. I wanted to share some of my process with you. Here are photos from her second corset fitting. I did a quick sample drape while she had her corset on, so she could get an idea of what the draping will look like on her body. We started with about 12 sketches and have narrowed it to 3 designs. 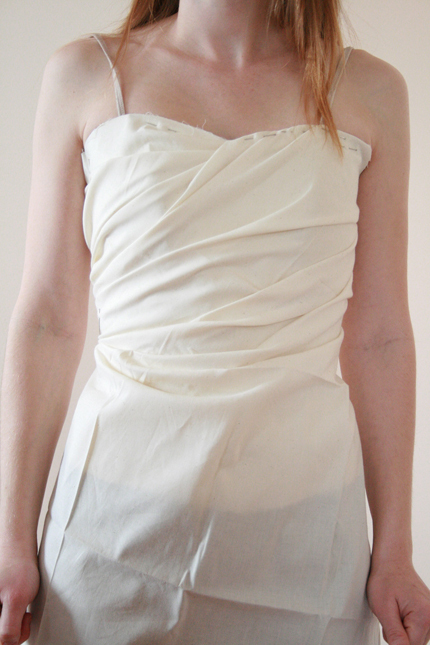 In the next wedding post I will show you photos of the first draped design!